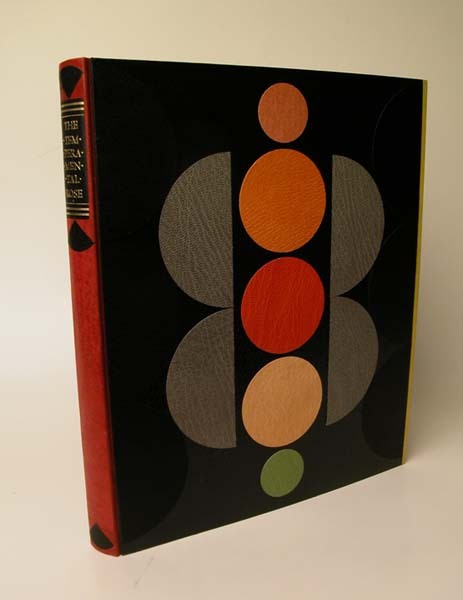 Bound in full black Morocco; edges rough cut; sewn on three frayed-out cords; paste paper endleaves with sewn leather inner hinge; handsewn red silk endband; décor of gold and blind tooling with red leather onlays; title in gold on spine. 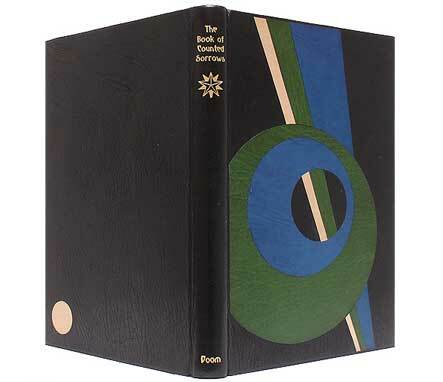 Each copy is laced into a heavy paper wrap (some white, some dark gray) featuring multi-color paper strips woven through the front board, and issued in a cloth-covered clamshell box. Leonard Baskin. Demons, Imps and Fiends. 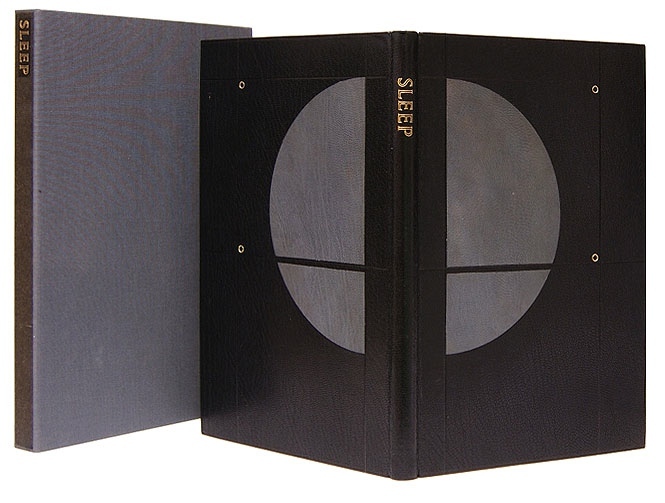 Northampton, MA: Gehenna Press, 1976. Full black morocco with red and black leather onlays, gold tooling; sewn on flattened hemp cords; top edges gilt, leather endbands. 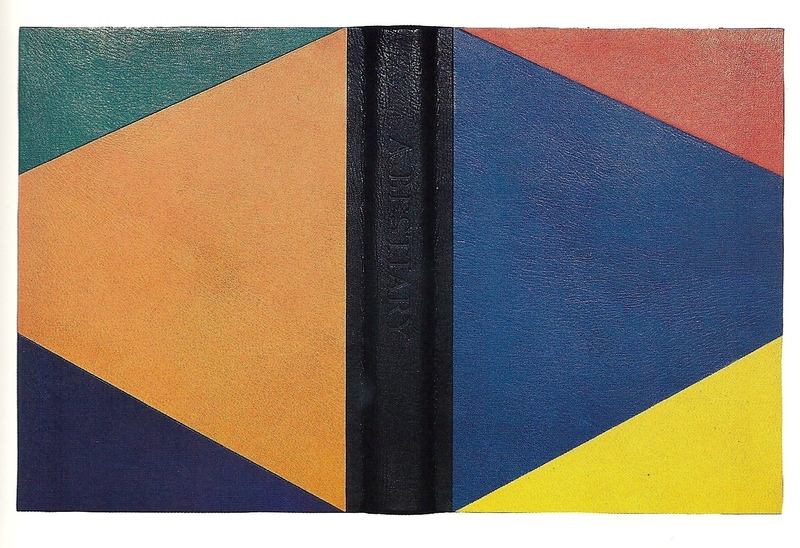 30.4 x 21.5 cm Bound in 1982. Bradford Morrow. A Bestiary. Grenfell Press, 1990. 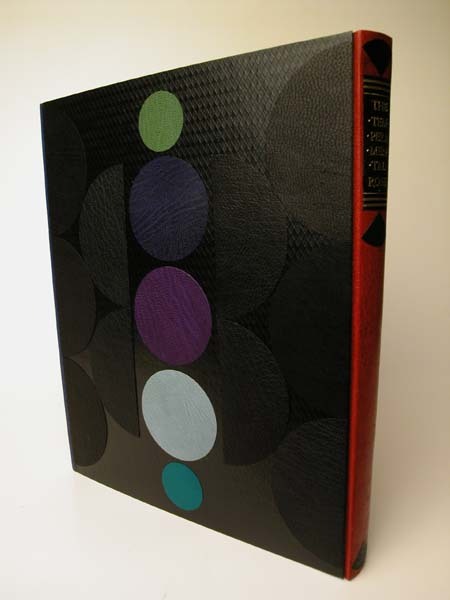 Full leather split board case binding. 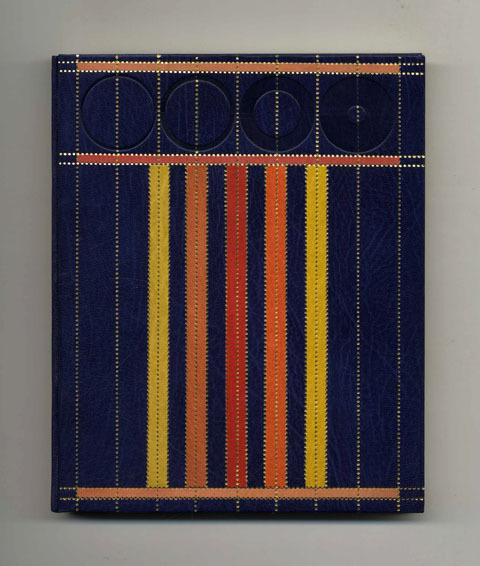 Black spine with inlays and onlays of scarlet, yellow, blue, purple, green, and orange leather. Pink leather head and tailbands. Sewn on 5 linen tapes. 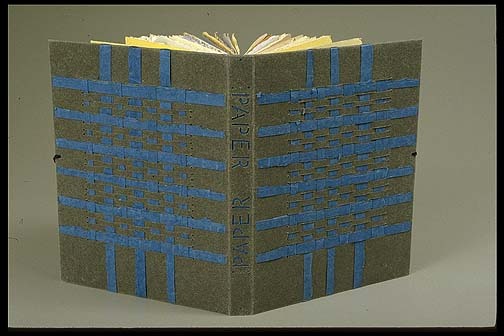 Somerset endpapers with sewn Japanese linen hinge. 39 x 28.5 x 6.5 cm. Bound in 1991. Barbara Hodgson and Claudia Cohen. The Temperamental Rose & Other Ways of Seeing Colour. 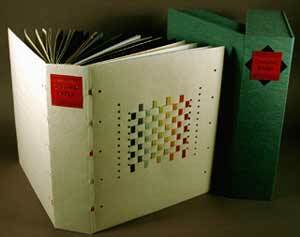 Heavenly Monkey Editions, 2006. 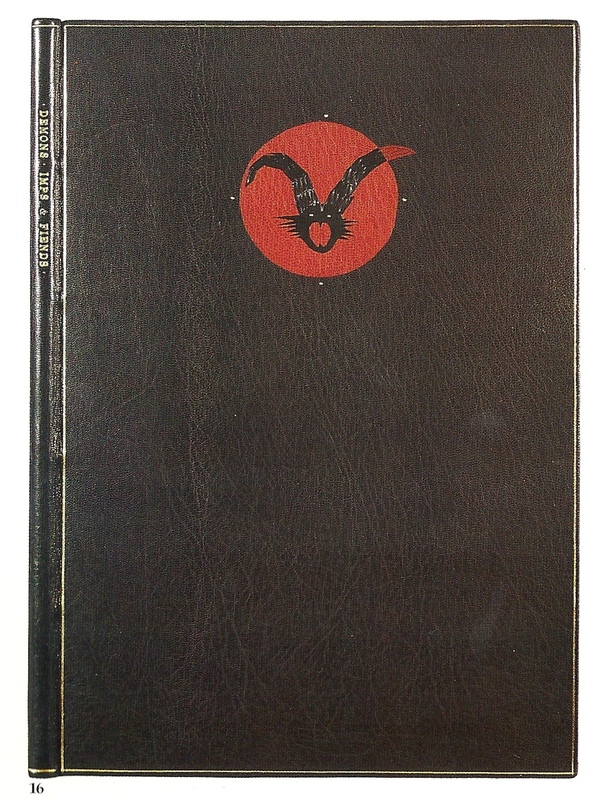 Three-piece case, with leather spine and fore edges. The boards are covered in an early 20th century European embossed paper, over which a number of different circular leather overlays are placed. 7 x 9 inches. Haruki Murakami. Sleep. Kat Ran Press, 2004. Barbara Hogson and Claudia Cohen. Occupied by Color. Heavenly Monkey Editions, 2012.